Oscars: Who won the Oscar? Well, that happened. We officially had a Kanye West moment at the Oscars, but the fault lies simply with negligence, not pride. The instant that Warren Beatty squinted and completed a hurried hand off to his former co-star and fellow Awards announcer, Faye Dunaway, it was clear that some minor detail was amiss. Neil Patrick Harris Twitter feed. While the incident shocked everyone in the room or watching at home, some argue that it was hardly a disaster for anyone besides the false initial recipients. In fact, Olivia Waring of Metro.co.uk published an article declaring the 2017 Oscar’s twist to be “the best thing to have ever happened to the film industry.” Why? 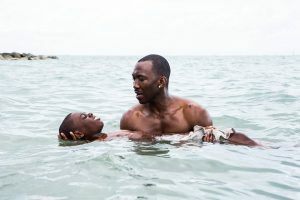 She asserts that it’s proof that while some movies have the flair of a winner, and a great deal of fuss is made over them, in the end the stories that clearly have a deep and enduring message should prevail. Moonlight, she said, “was the most deserving winner” despite the fact that Hollywood basically marketed La La Land as a film harkening back to the golden era. It’s not that it wasn’t rather a pleasant surprise to see a musical make it into the Oscar nominations, but seeing a movie that wasn’t Hollywood patting itself on the back via big stars and a storyline about the struggle of “making it” as an artist was … refreshing. Overall, that moment did more to bring together a large group of people than Kimmel’s funny but thankfully fairly brief monologue. After a few moments of false hope, followed by public devastation and heartbreak, even the La La Land cast went home with several wins and nominations — not to mention the memory of candy falling from the ceiling of a historic building while surrounded by people applauding each other. 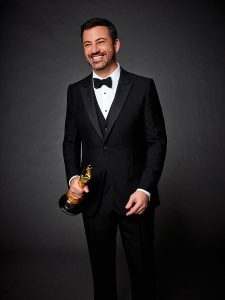 Kimmel opened by referencing how divided we are as a nation, offering scalding hints of Trump bashing, such as reminding the audience that we once worried about a racist Oscar’s ceremony. He included us all in on a fake feud (we hope) with everyone’s favorite Martian, Matt Damon. Seeing these two engage in fake banter and Damon endure some zingers was enough to remind viewers that not every major star has an ego the size of a small constellation. On the aforementioned subject of division and race, Kimmel was criticized for a few lines about non-Western names, including Mahershala Ali, the Best Supporting Actor winner, which should come as no surprise to anyone who’s watched his show over the years. In case anyone forgets that he’s an irreverent white guy, that’s been a fact for a while. Mahershala himself didn’t look offended, and the personal moment of triumph evident on his face as he divulged that he was a new father was easily one of the top five most memorable moments of the evening. It was a pretty remarkable year for cinema. The type of films nominated crossed borders that had previously been left for more “indie” features, and themes therein were deeper and less familiar than the oft-trodden paths of superhero-esque protagonists. The host captured it succinctly: “Black people saved NASA and white people saved jazz.” In other words, the artists in the room managed to surprise us by defying stereotypes. The films presented had us invested in the stories of some real individuals with real struggles. Even if we can’t believe all the speeches, such as Viola Davis telling us that artists are the ONLY ones who celebrate life (*ehem* teachers, parents, doctors …? ), we can certainly believe in the tales of victory despite — and because of — adversity that these screenwriters, actors, directors, producers and designers all work tirelessly to tell. Guiding us through the night with his signature self-deprecating and snarky sense of humor, the host included not only a lack of reverence for names and politics, but a sarcastic tirade of anti-praise for Meryl Streep. “Is that an Ivanka?” he quipped, playfully acknowledging Streep’s earlier speech against Trump. The night wasn’t entirely hanging between an odd assortment of humorous and glum. Sara Bareilles brought us a beautiful rendition of “Both Sides Now” for this year’s very poignant In Memoriam, and Dwayne “The Rock” Johnson sang for two seconds rather jokingly before introducing the very talented young star behind Moana, a remarkably composed Auli’i Cravalho. Though the twist at the end of the ceremony was indeed less welcome and more difficult to anticipate than the final act of an M. Night Shyamalan movie, the night overall touted stories and people who remind us of the best and worst parts of ourselves. Even the mix up, in its own way, spoke to the churning in your stomach at potential, as we watched the other nominees all endure a moment of tormented wonderment as the mistake was announced. Here’s hoping the winners listed below enjoy their success, and that next year people don’t feel the need to push the (wrong) envelopes.